Come on now. A blind guy? How badly do we want to kill animals? Is this a gun control thing? 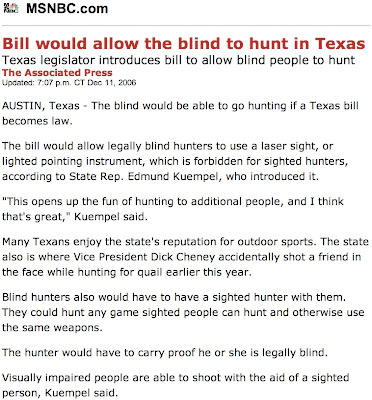 Lokk, I'm not trying to take away your gun- but I AM gonna try and take it away from the blind guy. lol, sucking can kill you.